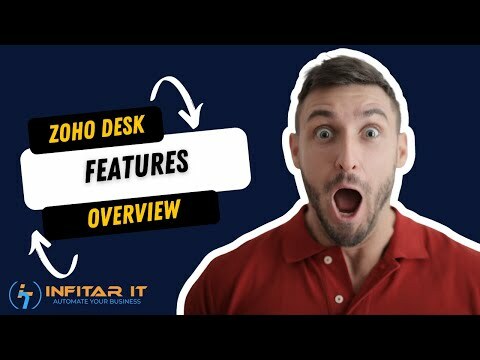 Zoho Desk is the industry's first context-aware help desk software that helps businesses focus on the customer. From increasing your agents' productivity, to crunching through performance metrics, to working in sync with other apps that you use, get to the core of your customer service efforts. The quintessential channel for customer service just got better with a few convenient tweaks. All your customer emails get pulled into a convenient interface where you can easily respond to them. This is the best way to handle customer service emails even when you use several email IDs. Zoho Desk brings to you traditional customer service telephony that has been redesigned for the cloud. Get all the advantages of traditional phone support, without any of the usual hassles. Zoho Desk integrates the most popular social media platforms, Facebook and Twitter, with your traditional customer support channels. You can now respond to your calls, mails, tweets, and posts from the same interface. In customer service, first-in doesn't always mean first-out. Countdown Mode helps prioritize tickets by displaying them based on when they're due. Tickets automatically move to their appropriate column, so agents can stay updated without having to hit the refresh button.